The Thanksgiving Season Bake on Novemer 17 marked the end of our 2018 season. See you in the spring! Meanwhile, donations can be sent to the Carbondale Community Oven by clicking here. 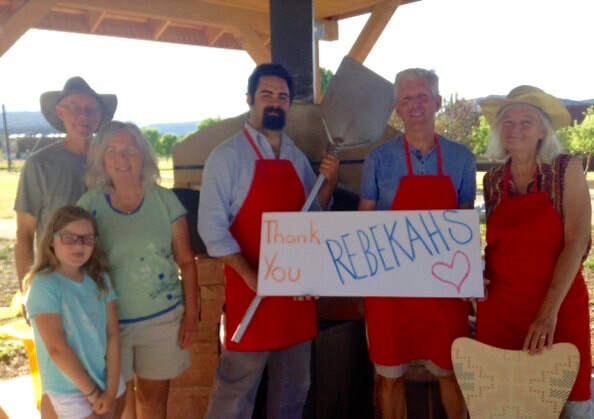 Or mail your donation to Carbondale Community Oven, 837 Sopris Avenue, Carbondale, CO 81623. Thank you for another amazing year! for your generous donation. We are one step closer to having lights at the baking shelter! Where do we get all our dough? Peppinos of Carbondale. Supporting pizza bakes sice 2017. Thanks, Peppinos! ...once again, for your generous donation! Your help will support our 2018 programs. 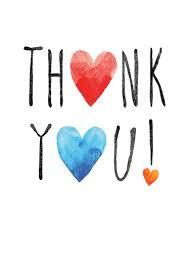 We sure appreciate you! 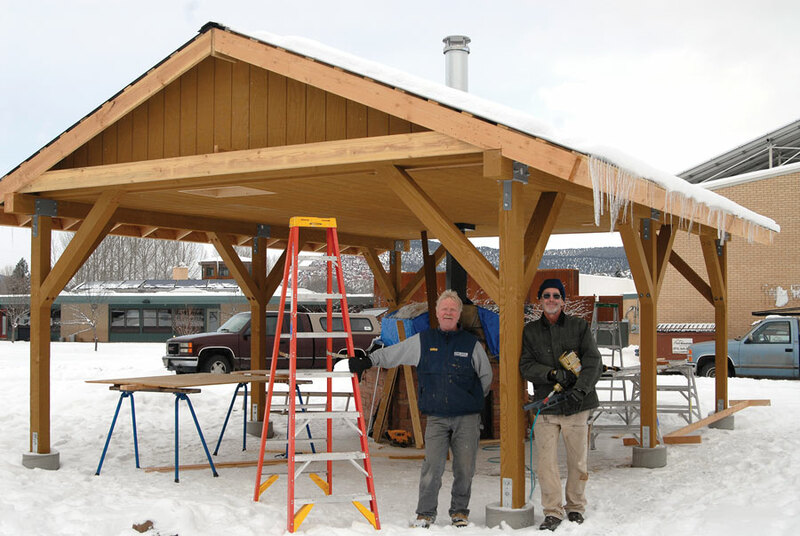 Work crew Charlie Cady and Erich Vogt pose inside the new oven shelter and outdoor classroom. Thank you, Town of Carbondale and all who helped secure funding for this much-needed structure! This public amenity is available for all to enjoy. The Community Oven is about sharing the bread we make with our own hands. Come see. Come bake. The Carbondale Community Oven is an outdoor masonry wood-burning oven like those used to bake bread and pizza all over the world. Locals refer to it as "The Bread Oven." We meet regularly to bake and share our creations. Everyone is invited, and there is no fee to bake. We ask that you share a taste of your bread with the group or bring butter, oil, toppings or beverages. Donations are always welcome. Imagine popping a loaf of homemade artisan bread onto the hearth, closing the oven door, and spending the next hour with your friends while you wait for the food to be baked. It's a time to share ideas, talk about our community, catch up with old friends, and eat delicious food together. 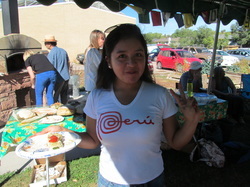 Community Ovens have been around for thousands of years. They save on fuel, keep kitchens clean and cool, bring people together and remind us we are all one tribe. We invite you to give our oven a try...or build one in your own community!